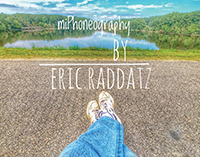 Author Eric Raddatz is taking his latest book miPhoneography, on tour — a Virtual Book Tour with Outskirts Press. This will allow Eric to take his book into the far corners of the globe, all from the comfort of his own home! Keep an eye out for Eric’s book as he will be featured on several blogs over the weeks and months ahead! Luckily for us, Eric was kind enough to answer a few questions as the tour was getting started so that we can give you a sneak peek into the mind of the creator of miPhoneography. OP: Tell us a little bit about miPhoneography. What is it about? Eric: It is made up of an eclectic group of images made with iPhone technology and editing apps such as Snapseed. Eric: I looked up self-publishing on Google and found Outskirts Press and inquired. They returned stating their interest. They were great. You actually get to talk to a real person who guides you through the process from beginning to publishing, and even after, and all with patience and grace. Also, you get to spend a goodly amount of money but it was most definitely worth it. Eric: I have seen any number of books or magazines devoted to the iPhone or the Droid in teaching the how and why. My vision is to share the result of my exploration and vision. The exposure beyond the community of mobile-artist to the general audience might truly bring new life and ways of seeing things differently. Eric: Yes. My first book was published through Blurb. It is the sharing of images and words of my mother’s passing “Memories Dying Dream.” I shot it using a flip phone which of course has its limitations, but I was able to surmount them and produce a meaningful and heartfelt experience both as a book and an exhibition. The second one I also produced through Blurb, “Eric L. Raddatz Photography: A Retrospective.” In it are images from my days using 35mm SLR and Digital SLR plus some early iPhone, both of the cameras and lenses are tucked away in a drawer of my dresser. Eric: I continue to go out and explore my world through my lense (s) and am always discovering new images and ideas. I love taking time to rework the images to create something totally new. The possibility of additional publications is ever present. I will take it one book at a time. OP: Thanks for your time, Eric! We look forward to learning more about you as you visit other bloggers! Eric Raddatz lives in Raleigh, North Carolina with his wife, Bonnie. They have three children who are off on their own adventures. Eric works as Chaplain for Heartland Hospice. Photography has been his way of taking care of himself in the face of the issues that challenge the individuals he serves, finding peace and comfort as he walks the greenways and streets in the world in which he lives. At Outskirts Press, Inc., we take great pride in celebrating the work of our successful self-publishing authors, and we do so each week through our Self-Publishing Author Spotlight. This week we highlight self-publishing author Rodney D. Brooks, who has published two successful titles and is working on his third with Outskirts Press. 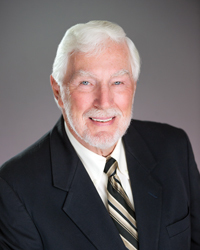 Learn more about Rodney through this week’s Self-Publishing Author Spotlight. 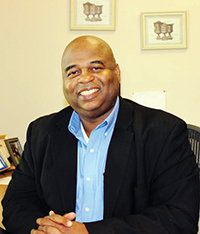 Rodney D. Brooks, co-founder of What If?, is the president and founder of Brothers Brooks Vision 2 Mission LLC, has over 30 years of experience in Human Resources and Operations in several Fortune 100 and 500 companies. Rodney has been a Sunday school teacher for over 25 years and a church deacon for over 15 years. What If I Want to Be a Christian? : Just A.S.K. What If I Want to Be a Christian? offers a simple yet compelling way to answer this question and others, along with resources for greater understanding of young people’s roles in Christianity. It all starts with A.S.K.! 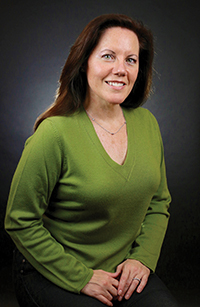 At Outskirts Press, Inc., we take great pride in celebrating the work of our successful self-publishing authors, and we do so each week through our Self-Publishing Author Spotlight. 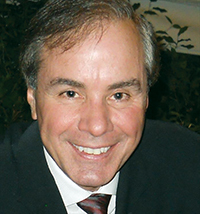 This week we highlight self-publishing author Carlo Armenise.